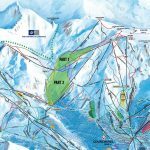 Home Blog Looking For A Quality Powder Ski Resort? Looking For A Quality Powder Ski Resort? Discover new areas to shred in our powder ski resorts post below. At Powder White, we know a thing or two about great powder in the Alps, especially with 100 seasons between everyone in the office. 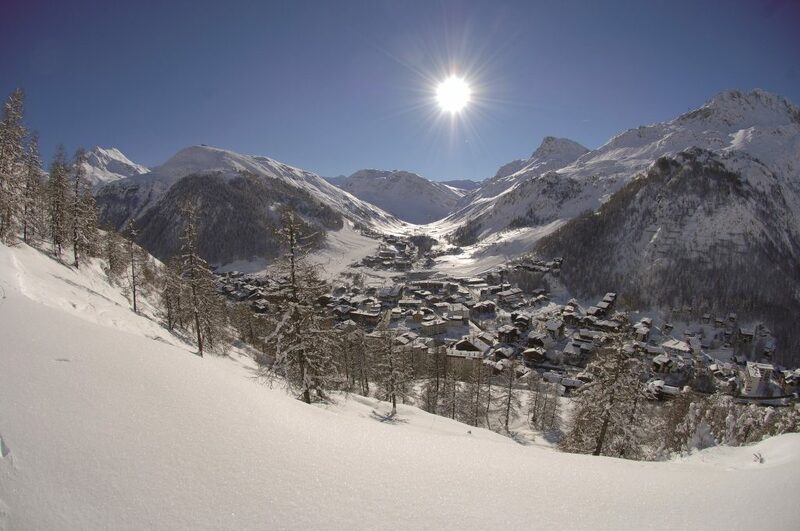 Here are our best powder spots in Verbier, St Anton, Val d’Isere and Courchevel! 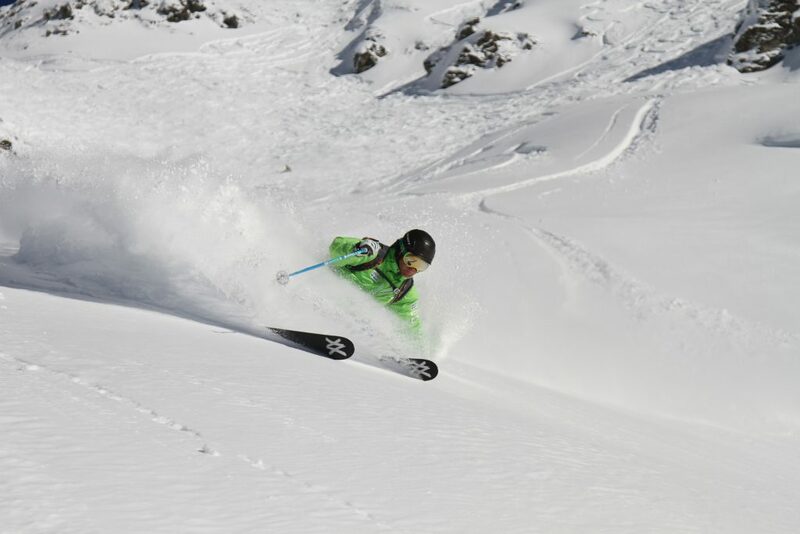 Powder White started in Verbier over 15 years ago so we know everyone about great skiing in Verbier. On a deep snowy powder day head over the nearby ski village of Bruson. 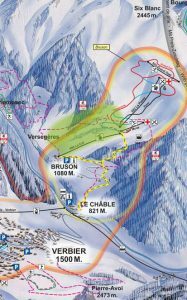 A new superfast gondola now links Verbier to Bruson making it the perfect option when viability is poor on the higher runs. 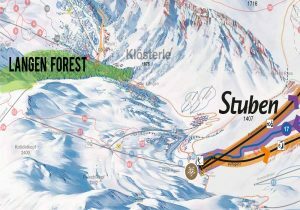 Bruson has acquired legendary status as it offers some of the best off-piste tree skiing in the Alps. Steep open pines are plenty and all very easy to access from the top of the single chairlift. 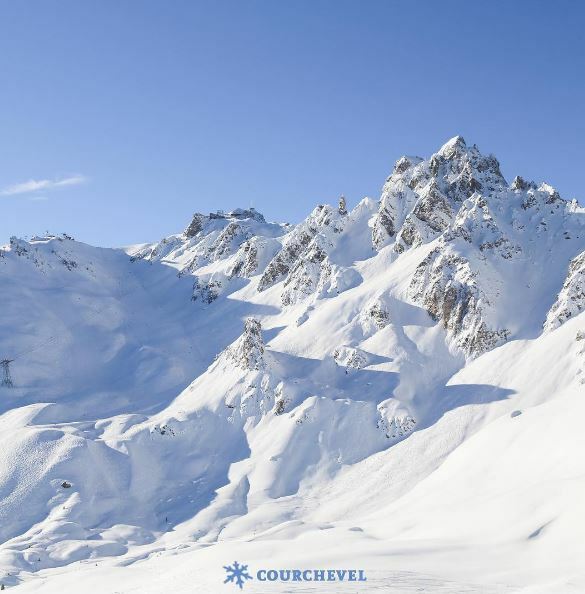 Just beyond the world famous but regularly busy itinerary run of Chassoure (Tortin) lies the vast open off-piste bowl of Col du Mouche. This epic run boasts a huge vertical descent back down to the lift station at Tortin. There are so many terrain options to go at! A classic steep and narrow couloir for the braver skiers. The open powder field of the main bowl, the open tree’s on the lower aspects of the freeride face on the far side that is enough to challenge and excite any skier on the mountain. 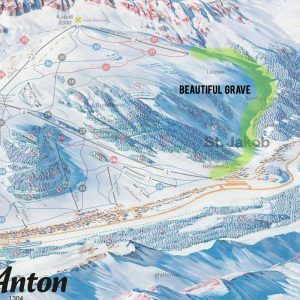 St Anton and the Arlberg ski area is where you’ll find some of the best off-piste skiing in the Alps (I can say this because I have skied them all!). From the top of Kapall, ride down red 37 which takes you to the bottom of the T-bar lift. Drop off the back of the run and you will enter the tree lines. If you go further left you can expect steep trees and open faces. 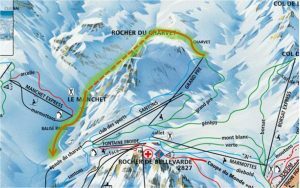 This can be an extremely dangerous place if not careful (I mean look at the name) and the correct line must be chosen to remain safe from potential avalanche threats. Stick to tree lines as they are safer and much more fun! This route has plenty of drops if you are feeling more adventurous and daring. Simply follow the run all the way round until it meets the toboggan tack that leads to the back of the Levett Chalet near the Nasserein bubble. If St Anton is the place for you then get it touch with one of our holiday experts who will help you with anything from resort advice, accommodation choice, travel and transfer information. Level: New and intermediate powder riders. 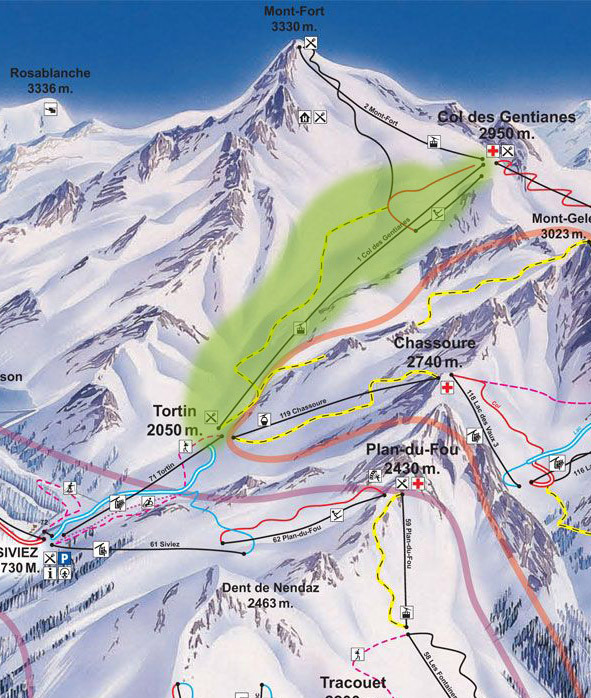 Take the Grand Pré chairlift to the top and round the Charvet peak down to the Manchet Valley. This is the perfect run to start a day powder skiing and get the feel for deep snow. It isn’t too steep, but steep enough to put some big turns in and… if you get there early enough you’ll feel as if you’re in the middle of nowhere, with no lifts, buildings or other people in sight. Level: Intermediate and advanced powder riders. This is a personal favourite and can be a popular route so get here early to enjoy fresh lines! This is ideal for when it’s a whiteout as the forest offers the perfect cover from the falling snow. When everyone else is taking cover in the bars, you will be shredding in between trees until your legs can take no more. Take the Fornet lift up and drop behind it and there you will find the trees. There are a number of different routes available and most of the trees are nicely spaced for putting fresh tracks in. 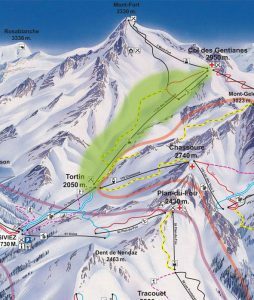 This is a huge area between the Vizelle telecabine in the east to the Chanrossa Chair in the west. I have highlighted two areas on the map below to visit. snow permits you can drop off the side towards the Creux run. There are some nice features, rocks and drops to play around on for the more advanced freerider. Now if you are wanting more powder head towards the chanrossa chair for an even larger powder descent for part 2! Lots of small trees to jump over and push through and some rocks and small drops. To access simply ride half way down Creux, then take the left hand run Lac Creux. You can also drop in further along the cat track and ride underneath the Gravelles lift. 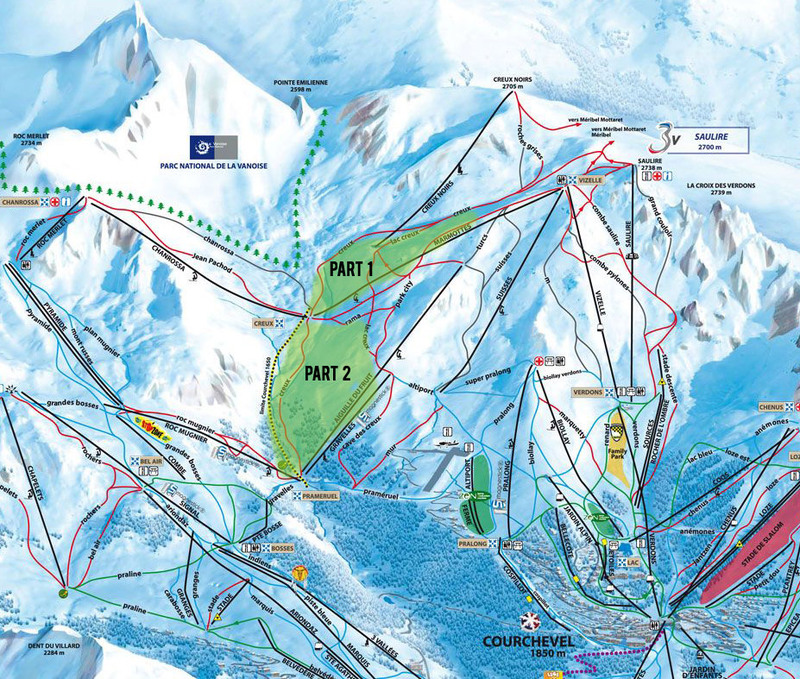 This area can be accessed from the park city run also which is uplifted by the Aiguille de Fruit chairlift. You would take this chair if you wanted to ride it again also. 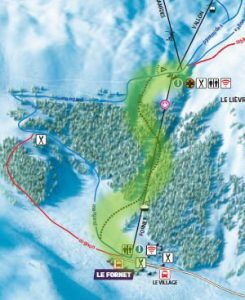 With a 3 valleys ski pass, you can then explore more than just Courchevel and discover Maribel and Val Thorens routes. If you want the best experience I would highly recommend taking a guide or instructor as they will know all the best spots on the day. Yes, it will costs money but it is always worth it when you are looking back at your own fresh lines. So… before you head off-piste, here are a few things to remember. Firstly, you MUST really take a course in avalanche awareness and practice the techniques learned. You can get a good idea from Henry’s Avalanche Talk for avalanche safety. Every resort will have an Off Piste course you can do and we highly recommend it. It will not only improve your awareness and knowledge but also your technique when shredding powder. Always look at the avalanche safety flags and level number. These are a strong indication of when to go and when not to go. Speak to the locals and get their advice before heading out. They live and breath these mountains and will have a better idea of where and when to go out. Attach your transceiver properly to you and DON’T FORGET to turn it on, test the signal is working, and make sure you have all the necessary equipment. (A transceiver is of no use if the user has not been trained in its use, it is turned off, or it is in a rucksack – unless you want just your bag to be recovered). All the routes I have recommended should be a guide. They will know where to go on the day as there are many factors that might change the route. Yes, it will cost money but you will be safer and also you will improve your skiing by listening to them rather than your mate who thinks they know it all. We also highly recommend wearing a helmet where ever you go. Keep it safe and have fun! The best skier out there is the one with the biggest smile! Enjoy. Before you go and hit the powder, please take a moment to read our Essential Off-Piste Safety Tips. Previous articleWhat Ski Accommodation Is Right For You?